Winning his 20th Grand Slam title yesterday, the 36-year-old Roger Federer also took his sixth Australian Open win and demonstrated once again his incredible athletic excellence. The Swiss tennis champion is also a Rolex brand ambassador, and while he does not wear his watch during play, he always dons it before accepting a winning trophy. Yesterday’s win in Melbourne ensures a great start to 2018 for Federer, who also had an incredible year in 2017. In fact, many are saying Federer could be the greatest player of all time. He is one of the few to have achieved a Career Grand Slam – winning the Australian Open six times now, the French Open, the US Open (five times) and Wimbledon (eight times). 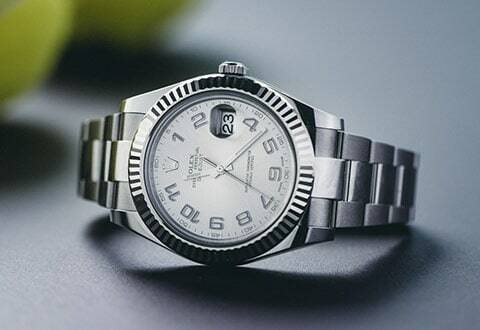 Federer wears a Rolex Oyster Perpetual Datejust II as his watch of choice. This was a big weekend for Rolex, as well, which also served as the Official Timekeeper of the Rolex 24 at Daytona races, which we covered here. Hats off to Roger – A true sporting legend! !